A lead about a possible sighting of Kristin Westra doesn't pan out, leaving authorities to consider all possibilities as they continue their search for the elementary school teacher from North Yarmouth. An elementary school teacher from North Yarmouth who disappeared from her home overnight Sunday had sought emergency medical help and had a “safety assessment” earlier that day after experiencing anxiety, her husband said. 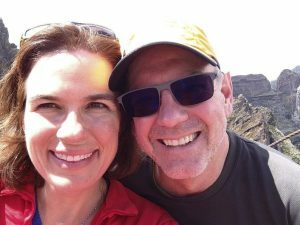 The details about Kristin Westra, 47, and her attempt to seek medical help were released by her husband, Jay, who spoke for the first time publicly about his wife’s disappearance in an interview with NBC News. “Sunday morning, Kristin was experiencing what I would call some anxiety and she expressed that she had some sleepless nights and was worried,” Westra said. Jay Westra, a pediatric oncology nurse, said he called a friend who was a “licensed clinical nurse practitioner” who arranged to see his wife that afternoon. He said Kristin Westra met with the medical professional – while he and his daughter waited outside – and had an assessment that determined she was not a risk to harm herself or others. After they returned home, she went for a run, he went to the grocery store, then they all had dinner together before going to bed, he said. Kristin Westra, a teacher at Chebeague Island School, was last seen at the family’s home on Lufkin Road when she went to bed with her husband around 8 p.m. Sunday, the Cumberland County Sheriff’s Office said. She could not be found when her family woke up Monday morning, although her vehicle, keys and cellphone were at the house. An intensive search began later Monday, focusing on the wooded area around her home. On Thursday morning, although the number of active search parties had been reduced from the massive response fielded Monday, game wardens and detectives followed up on what authorities initially believed was credible information they received Wednesday evening of a possible sighting of Westra. Cpt. Scott Stewart of the Cumberland County Sheriff’s Office, left, and Cpl. 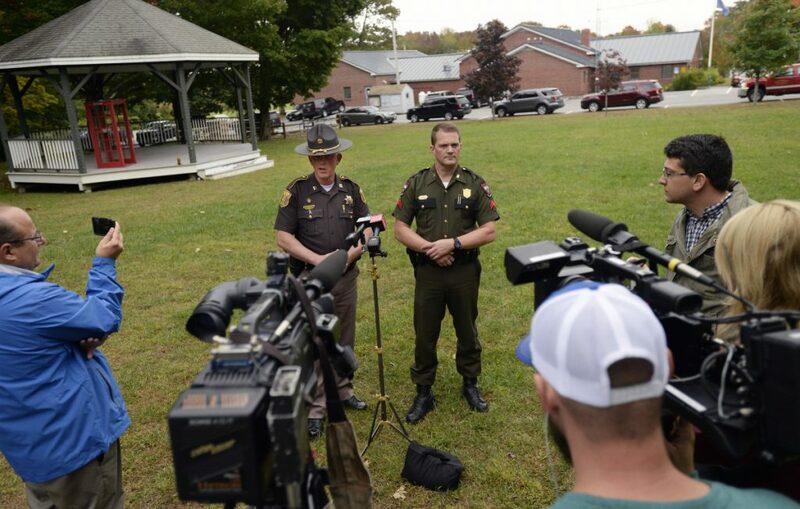 John MacDonald of the Maine Warden Service give an update on the disappearance of Kristin Westra of North Yarmouth outside the North Yarmouth fire station Thursday. Optimism about the lead gave way to disappointment Thursday night when Cumberland County Sheriff’s Office Capt. Scott Stewart said the information was investigated and was no longer being considered. 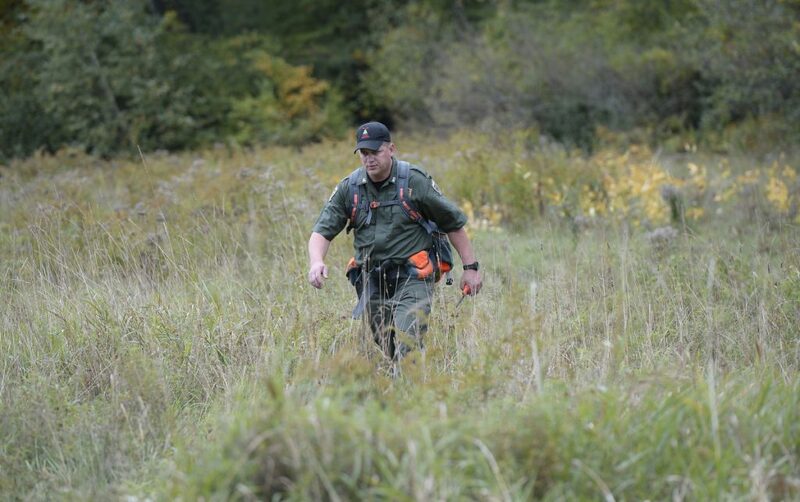 The teams of search dogs that returned to an area behind the Westra home have been slowed by brush and trees that are so dense in some areas that objects only a few feet away are difficult to see, he said. There has been no suggestion that Westra got into a vehicle, and all information so far points to her traveling on foot. Although there is also no indication so far of foul play, Stewart said detectives are exploring every possibility in their search for Westra. “We wouldn’t be doing our job if we didn’t always keep that on the table,” Stewart said. Authorities found no clues to Westra’s whereabouts during searches Tuesday and Wednesday of the wooded area within a roughly 1.5-mile radius of her home that “eliminated with high probability” she was in the vicinity of the house that she shared with her husband, daughter and stepson, Game Warden Cpl. John MacDonald said. Meanwhile, Jay Westra spoke at length for the first time about the ordeal Wednesday. Standing in his front yard, Westra gave NBC News a detailed description of the family’s activities Sunday and early Monday. After the visit with the medical professional Sunday, Kristin had planned to have blood work done Monday. She also had a plan to return to her usual running and yoga – activities that had been disrupted by the start of school and an ongoing renovation project at their home – and to make slight changes to her diet and her sleep patterns. After they went to bed Sunday, Jay Westra said he noticed Kristin was restless, and she was not in their bed when he awoke at 3:30 a.m. He said he thought she had gone to another room or downstairs to sleep to avoid waking him. He said he didn’t realize she wasn’t in the house until he rose in the morning. He described arranging for a friend to take their 10-year-old daughter to school while he went looking for Kristin, first on foot and then in his car. He said a back door was open a few inches, and he speculated she may have left the house that way. The door has a faulty latch, making it hard to close, he said. 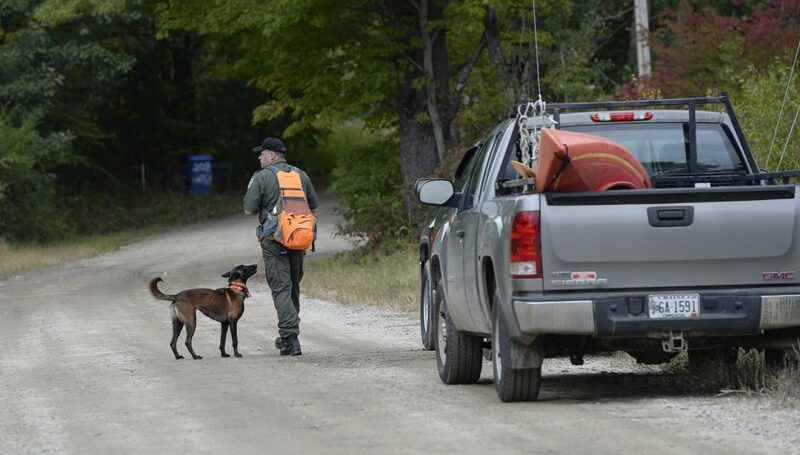 Game Warden Jeremy Judd searches for Kristin Westra of North Yarmouth on Thursday. When asked about Kristin’s “state of mind” Sunday, Jay Westra described his wife’s resilience. “Kristin is a rock. She sees a problem and she’s not afraid of problems. She knows how to solve problems,” he said. He also acknowledged that in these situations, the missing person’s spouse is often seen as a suspect, something he said was “logical.” He said they had the usual small problems any couple face, but he wasn’t concerned with what people were thinking or saying. He also dismissed the idea that she may have been taken by force. When contacted by the Portland Press Herald at his home Thursday, Jay Westra said he would not be making any further comments to the media. Kristin Westra’s brother, Eric Rohrbach, has described his sister as an early riser and as someone who is active and fit, and that leaving the home without telling anyone or having a way to communicate is deeply out of character for her. Rohrbach, of New Gloucester, said his sister was also under an unusual amount of stress. The Chebeague Island School where Westra teaches is being remodeled, making it difficult for her to be as effective in her job, Rohrbach said. And she faced similar stresses at home, he said, where the family’s house also was undergoing major renovations to the entire first floor. Jay Westra said Kristin was not on any medication, and said he would have supported her if she said she needed some time away. A prayer vigil for Kristin Westra will be held at the Congregational Church on Main Street in Cumberland at 5 p.m. Saturday.